A collection of adorable gifts, perfect for that special toddler or precocious young person. An adorable present for the tot in your life – Terry even comes in his own easy storage container so there will be one less toy to trip over on the floor. Terry The Tiger Friend In A Tin, £9.95 – click here to buy. If your child is a budding game keeper, why not get them this reversible Hamish tweed coat? Tweed field coat by Johnstons of Elgin, £85 – click here to buy. For your young magician or avid builder – help them create their own Wizarding World. Harry Potter Great Hall by LEGO, £89.99 – click here to buy. Beautifully crafted and handmade, a gift which will be treasured by any budding sporting enthusiast. 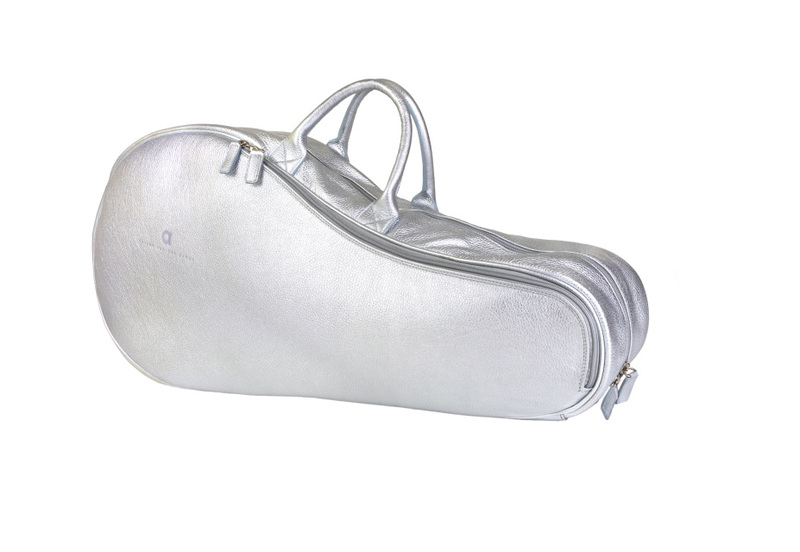 Alison Van Der Lande tennis case, £245 – click here to buy. The perfect gift for your young keen texter – they wont lose a glove if they never have to take them off! Leopard wrist warmers by Rosie Sugden, £65 – click here to buy. Send your little one off to sleep safely in the warm glow of this miniature house light. Dragons of Walton Street night light, £170 – click here to buy. 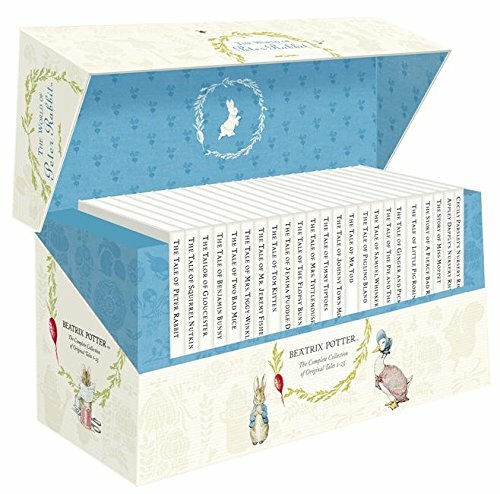 This beautiful gift box contains all 23 original Peter Rabbit books by Beatrix Potter. Each tale is presented in its iconic white jacket and features a publisher’s note describing how the story came to be. The Beatrix Potter collection, £34.95 – click here to buy. 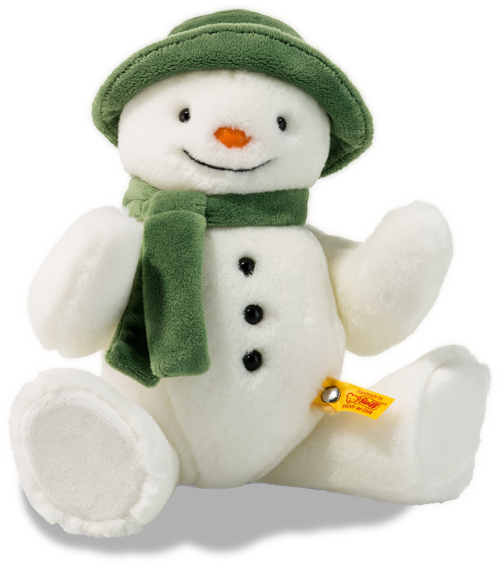 Made by the Steiff company from white cuddly soft plush, the Snowman is fully jointed and has a big long black mouth, black shiny eyes and matching three buttons on his tummy. The Snowman, £55 – click here to buy. A private helicopter ride to Legoland Windsor, a British banquet with all courses hand-crafted in the shape of various Lego elements and characters and a stay in the suite, decked in a recreation of London city and its most iconic landmarks made solely from Lego, complete with a rotating London Eye and an open/closing Tower Bridge. And as if that weren’t enough, each child will also be given a personalised Lego re-creation of their own face! A stay in the luxury LEGO suite at Rosewood London with VIP experience at Legoland – price on request. A wonderful little swing, ideal for small children or the narrow of hip. All sorts of sizes depending on whether it’s just for kids – or whether the grown-ups are allowed to play as well. Personalise this swing with your young one’s for that extra special touch. Oak and Rope Company garden swing, from £195 – click here to buy.